Washington, D.C. (October 19, 2018) — Volunteers from Boston’s Dorchester area will gather to plant fruit trees to complete the set-up for the new HERO Nurturing Center Inc. Hope Garden (HERO is for Hope, Empathy, Redemption, Oasis), on Geneva Avenue, October 25 from 10:00 AM – 1:00 PM. The former vacant lot will serve as a community garden, food forest and gathering space for the neighborhood. Speak for the Trees Boston is a new nonprofit organization dedicated to improving the size and health of the tree canopy in the greater Boston area through local community projects, focusing on areas with low canopy coverage. The implementation of the HERO Hope Garden on Geneva Avenue was initiated by Speak for the Trees and several local nonprofit groups, including Farmers Collaborative, Boston Food Forest, HERO Nurturing Center and HomeHarvest. It is supported by national partner American Forests, which is also producing an interactive online Canopy Planner tool for the city. Funding from global marketing company Epsilon, an Alliance Data company based in Wakefield, Mass., and American Forests’ corporate partner, brought plans and efforts in Boston to fruition. Boston is unusual among large cities for its lack of a regional urban forestry nonprofit. 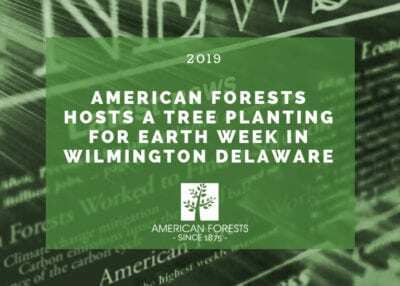 American Forests and Epsilon are working with Speak for the Trees to fulfill that role, champion regional efforts, advocate for better ordinances, build coalitions, and attract diverse funding to improve the city’s tree canopy. The HERO Hope Community Nurturing Garden will connect the community’s youth and adults to nature, while providing opportunities to grow and harvest fruit and vegetables and share them throughout the community. Green spaces in cities go beyond beautifying neighborhoods; they encourage people to engage in recreation that positively impacts stress, mental health and creativity. The trees will also contribute to a healthier environment by cleaning pollutants from the air, reducing flooding and water pollution, helping mitigate high temperatures, and sequestering carbon that would otherwise remain in the atmosphere. Transformation of the space will help make headway on Boston’s tree canopy-coverage goal to reach 35% by 2030. In a recent assessment, Dorchester’s canopy coverage was quantified at 23%, and it was estimated that the coverage could be increased by an additional 19%. Update: See the transformation of the HERO Nurturing Center Inc. Hope Garden! 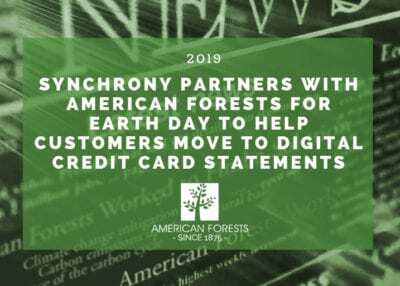 American Forests is the oldest national nonprofit conservation organization in the country and has served as a catalyst for many key milestones in the conservation movement. 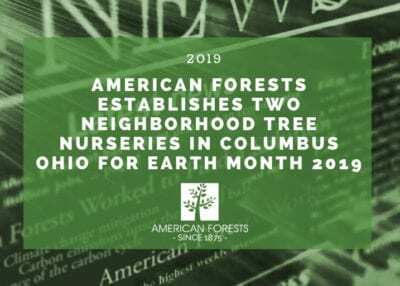 Since 1990, American Forests has planted more than 60 million trees in all 50 states and 44 countries, resulting in cleaner air and drinking water, restored habitat for wildlife and fish, and the removal of millions of tons of carbon dioxide from the atmosphere. Speak for the Trees, Boston is a new nonprofit focused on maintaining and sustaining a healthy and vibrant urban forest in the greater Boston area. Speak for the Trees is committed to supporting the vitality of the urban tree canopy in the greater Boston area, especially in areas with low canopy coverage. Their work focuses on community projects at the neighborhood level, engagement, educational outreach, and public advocacy. SFTT partners with community members, parallel organizations, and municipalities to build a healthier tree canopy for all. Epsilon is an all-encompassing global marketing innovator, providing unrivaled data intelligence and customer insights, world-class technology and data-driven creative, activation and execution. Epsilon’s digital media arm, Conversant®, is a leader in personalized digital advertising and insights through its proprietary technology and trove of consumer marketing data, delivering digital marketing with unprecedented scale, accuracy and reach through personalized media programs and through CJ AffiliateTM, one of the world’s largest affiliate marketing networks. Together, they bring personalized marketing to consumers across offline and online channels, at moments of interest that help drive business growth for brands. An Alliance Data® company, Epsilon employs over 8,000 associates in 70 offices worldwide. For more information, visit www.epsilon.com and follow them on Twitter @EpsilonMktg. Boston Food Forest Coalition is a nonprofit community land trust that seeks to revive and conserve Boston’s established legacy orchards, as well as create new edible food forest sites. Each site should reflect the cultural preferences of the surrounding community, functioning as an educational and recreational space, all while offering access to healthy food for those who need it most. BFFC connects urban youth and adults to nature for outdoor recreation, provides opportunities to grow and share food, and enables reflection about the importance of urban biodiversity and healthy eating habits. Farmers Collaborative is actively engaged in expanding access to open green spaces and urban agriculture throughout Dorchester, Mattapan, and East Boston, including internationally in Jamaica, Haiti, and South Africa. They are petitioning the City of Boston to convert blighted parcels of lands into compact farms that promote urban agriculture activities, beautification, and shared community open space. Farmers Collaborative’s mission is to facilitate increased cooperation among farmers and farming enthusiasts and provide the tools to empower communities. About HERO Nurturing Center, Inc. HERO Nurturing Center, Inc. is a holistic nonprofit created to support individual and group healing, wellness, mindfulness, and awareness. Started by Judith Foster in 2014, HERO, or “Healing, Empathy, Redemption, Oasis,” uses innovative and dynamic programming to promote healthier lifestyles while connecting youth to nature and to the environment. HomeHarvest, LLC is a specialist in regenerative edible landscaping. They are passionate about supporting food security in low-income neighborhoods, universal access to healthy food, education and involvement in care, and connecting people with nature and spreading the joy of harvesting. HomeHarvest donates fruit trees, materials, and resources to charitable projects, and are in the process of starting their own 501(c)(3).